Go north on Wright Street (first street west of Westwood Mall) from US 41/M 28 in Marquette and go for 3/4 mile to Forestville Road. Turn left on Forestville Road and go for 2 1/2 miles. The road will curve left to the Power Plant (see first photo below). Park to the right of the Power Plant. 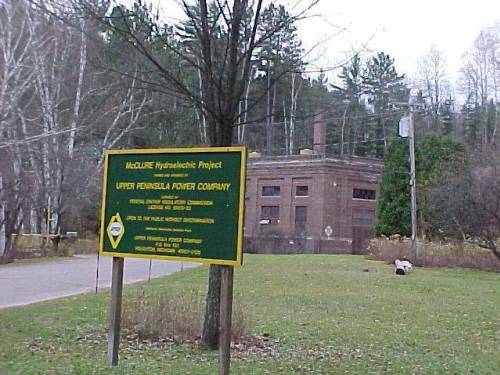 The trail to the falls starts to the right of the Power Plant and follows electric wires up the hill and through the forest behind the plant. About 100 yards past the end of the main hill, a section of an aquaduct is exposed, and on it someone has painted "falls" and an arrow to the left (see second photo below). 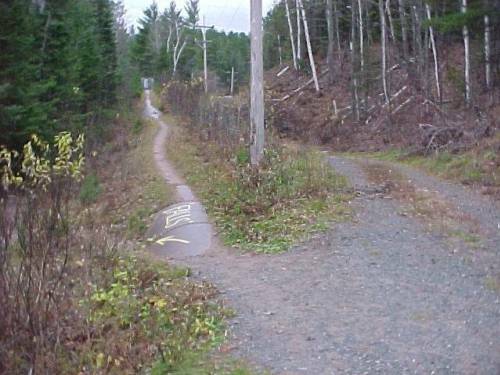 Follow that trail to the river. 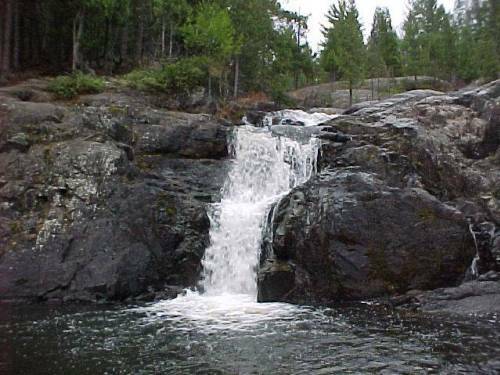 I was at Dead River Falls on 2 November 2001. 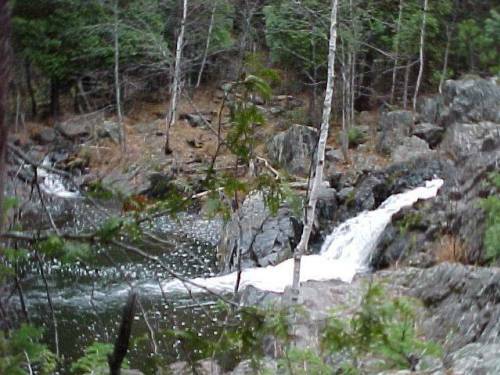 The main falls is visible from the top of the hill, partially hidden by trees, as shown in the first photo above. 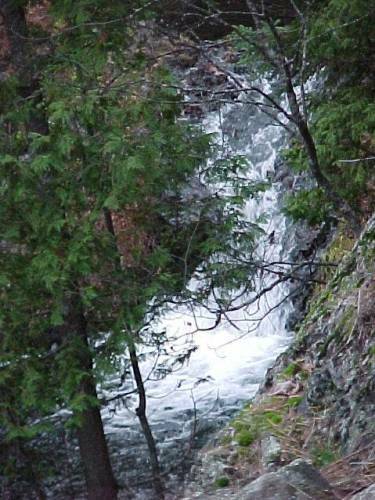 However, I was told there were more falls upriver, so I climbed down to the river and followed it upstream. 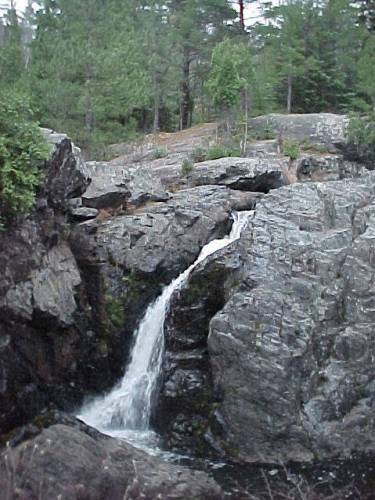 There were several falls along the way. 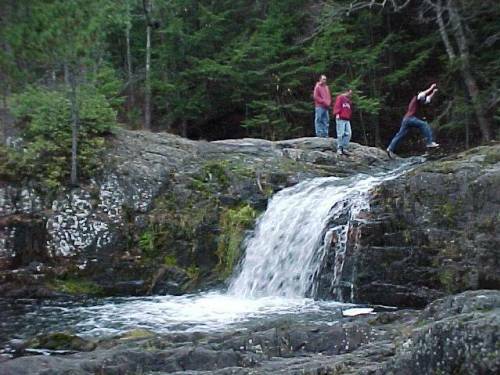 When I came to the falls with the boys jumping over it, they said the tallest fall was the last one, and it was less than a mile away, so I continued to that one (I think it was the last one). 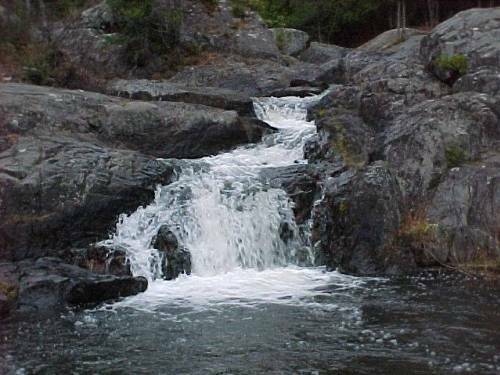 After viewing Dead River Falls, go to Reany Falls from the same area.